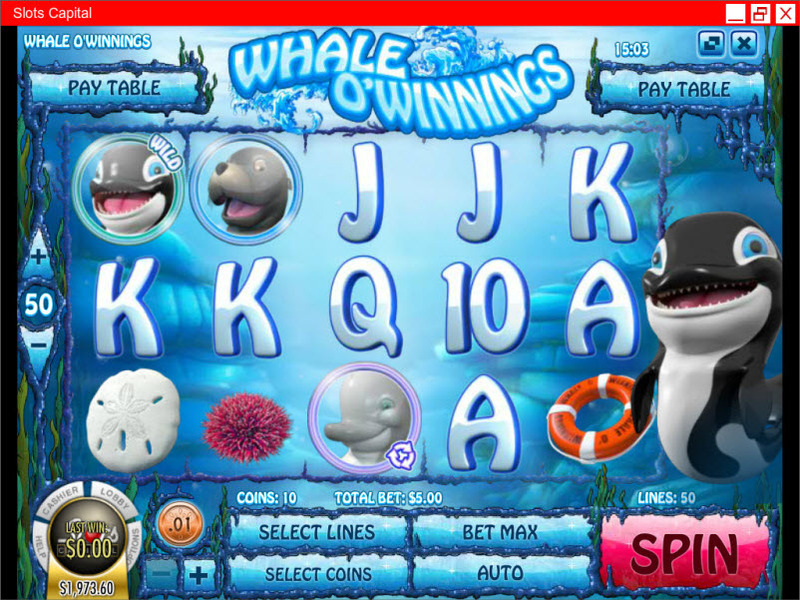 Overview: Join Whale O' Winnings and his friends under the sea in Rival's latest 5 reel slot. Keep an eye out for sunken cash and treasure! Undersea icons include an urchin, a sand dollar, a clam, a life preserver, Whale O' Winnings and his two friends - the Sea Lion and Dolphin. The 9, 10, Jack, Queen, King, and Ace symbols fill out the rest of the icons. 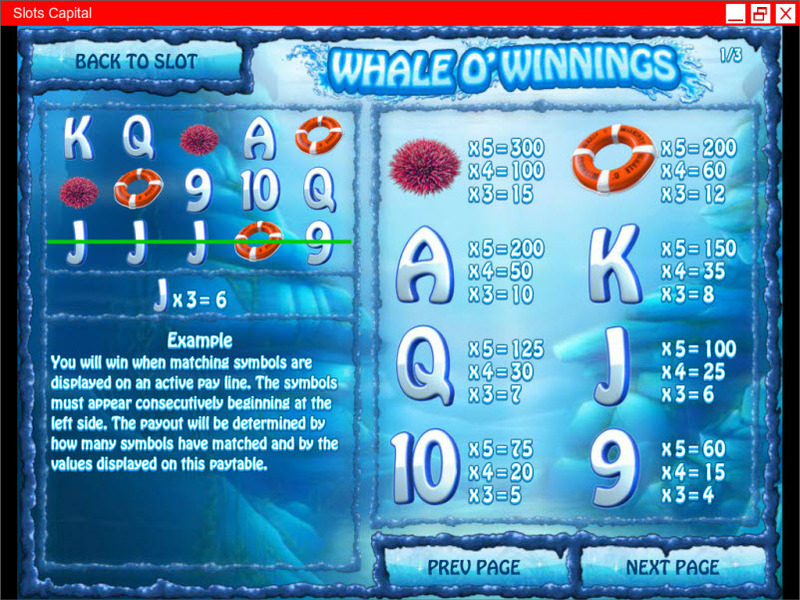 The Whale O' Winnings icon is Wild and has a 3x multiplier! 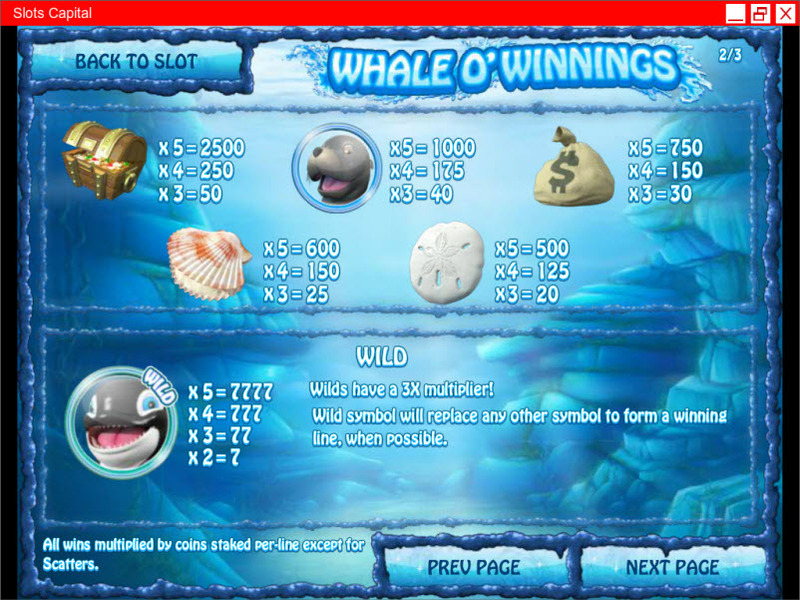 Free Spins are awarded when three or more Dolphin icons appear. Free Spins have a 2x multiplier! 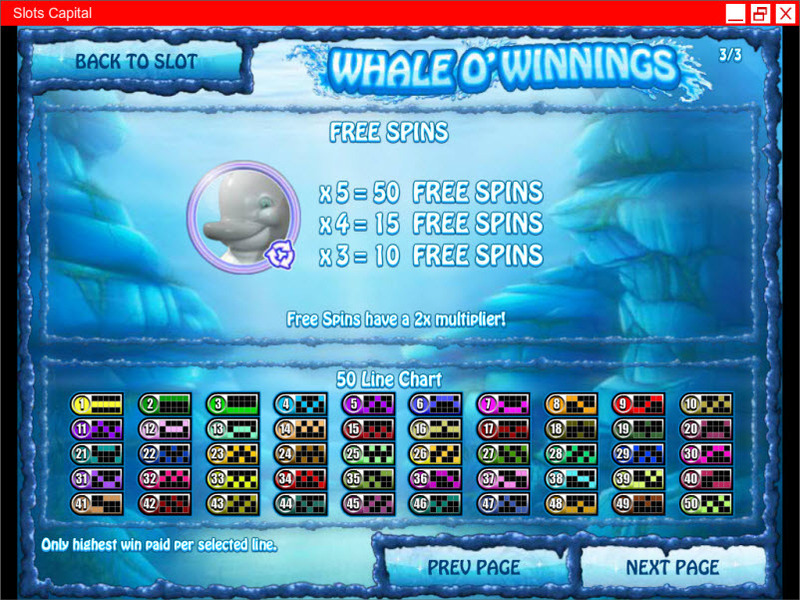 Similar Slots: If you like Whale O' Winnings, you might like these other Rival video slot machines: Diggin Deep, Gushers Gold, Hobo's Hoard, Ice Picks, Secret Garden.